Our trip to Hunan in central China made us love our planet more. We found ourselves amongst imposing lush mountains. No picture could have prepared us for what we had in front of our eyes. We spent the entire 3 hour trip from Fenghuang Ancient Town frantically staring out of our bus window. 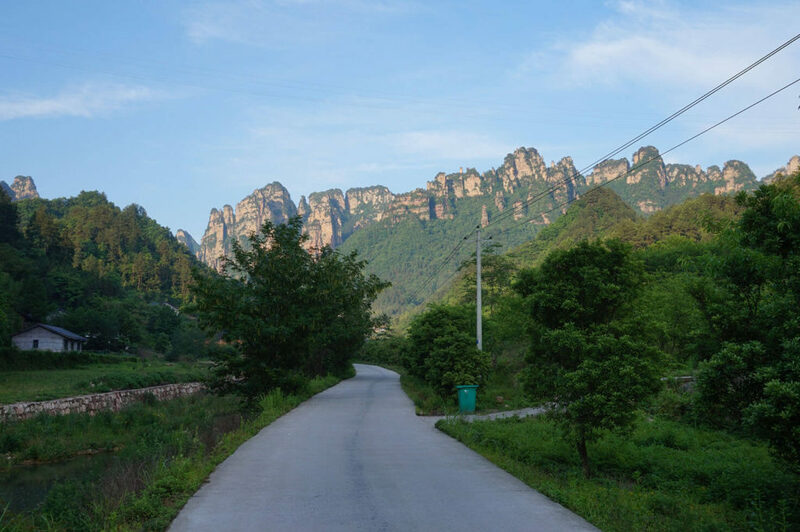 We were headed to the famous Zhangjiajie Mountains but had no expectations regarding the surrounding area. However, the whole trip turned out to be superb. Our journey was pretty special since we got to see the bigger picture: how this massive spires rise from a lush hilly plateau. That’s all I can say, it’s impossible to describe the beauty of one of our planet’s most spectacular spots. 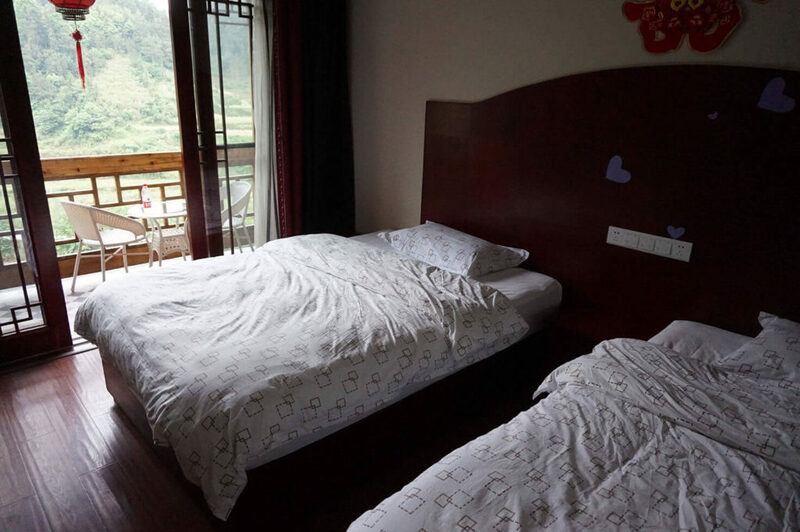 Nevertheless, we weren’t sure where to stay in Zhangjiajie. Our goal was to avoid the crowds while staying next to the park. We managed to succeed! 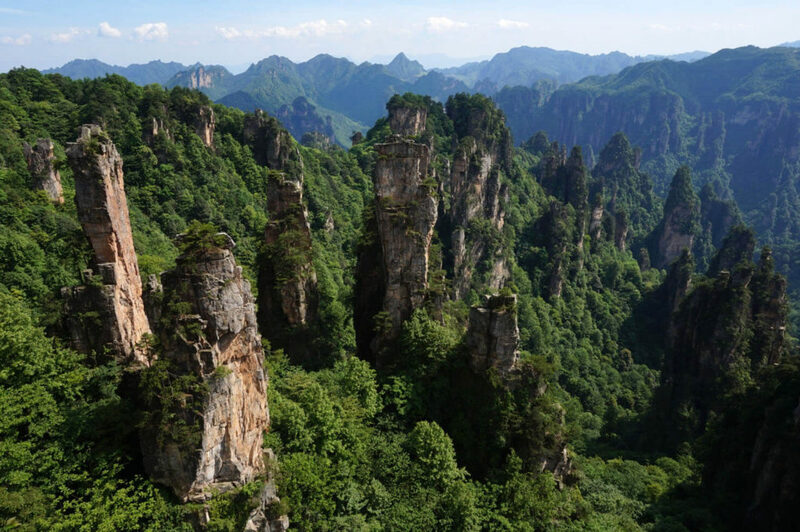 In 1982 Zhangjiajie became the first National Forest Park in China. 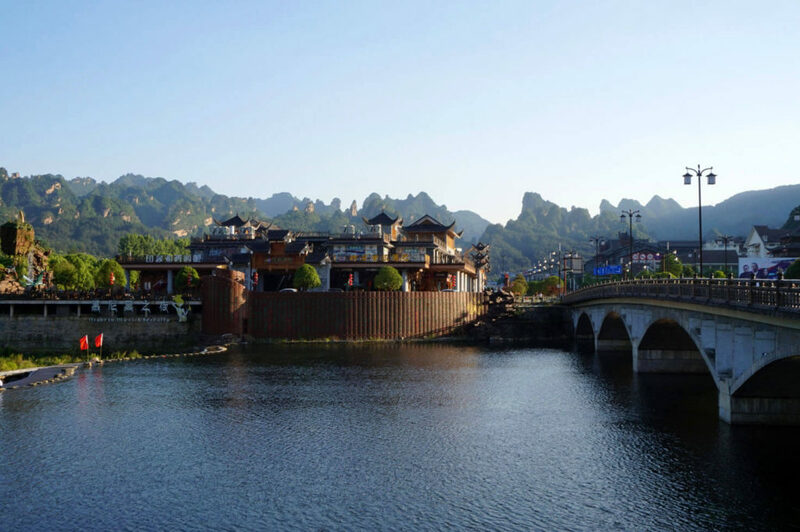 With over 4810 Hectares (11900 Acres) the park is a fraction of the larger Wulingyuan Scenic Area, a World Heritage Site. You probably recognize the area from its thousands of tall pillar-like formations, some of them over 200 meters tall. 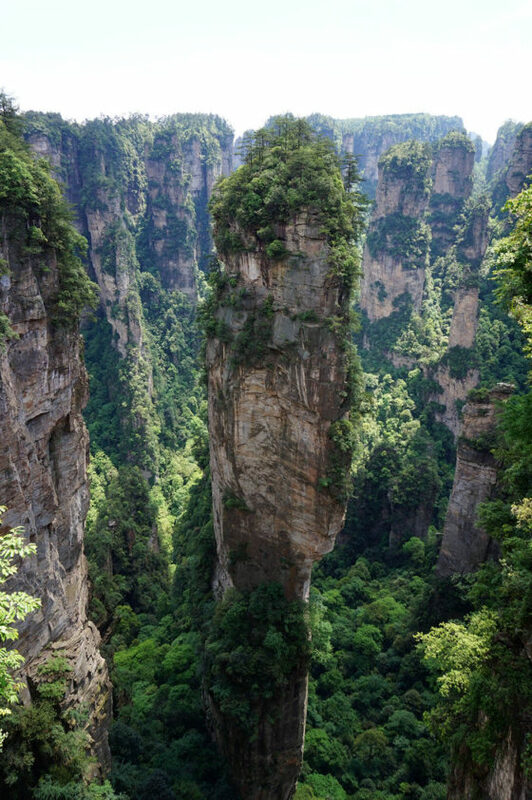 Apparently, Zhangjiajie Mountains inspired the Avatar movie. The landscape resembles the karsts formations around the River Li, and yet it is entirely different. However karts are the result of chemical erosion and Zhangjijaie of physical erosion. The weather around the park is humid all year round. Therefore, dense vegetation covers 98% of the land. Additionally, some 150 chordates live in the park, 28 of which are protected. 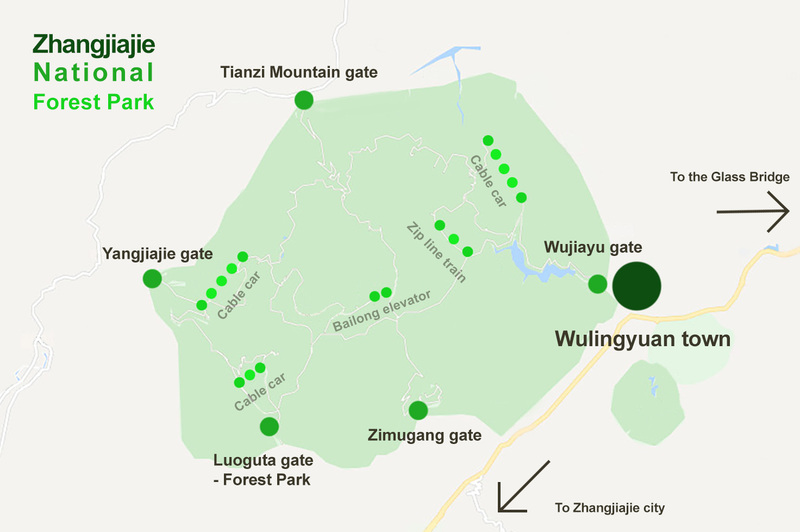 Just like Jiuzhaigou National Park and Huangshan Mountain, Zhangjiajie National Forest Park has a lot of infrastructures. In fact, several roads used by public buses go deep inside the park. Due to the considerable height the pillars can reach, to cross the park you need to walk, use cable cars and the famous Bailong elevator. Three cable cars and a zip-line train climb all the way up. While all the buses inside the park are free, bring cash since you’ll have to pay for all other transportation. Additionally, and thrillingly, you can walk about the numerous pedestrian paths. The scenery will make you forget the crowds, especially next to the Zhangjiajie River. Organize your time wisely, you don’t want to rush, but you don’t want to miss on anything either. Finally, take note that the park closes early and you might get locked in. The number of tourists can be overwhelming. Yes, you will be one of those annoying tourists too, so complaining is absurd. Nevertheless, there is a way to avoid crowds. Take note that the Chinese represent the vast majority of tourists in China. 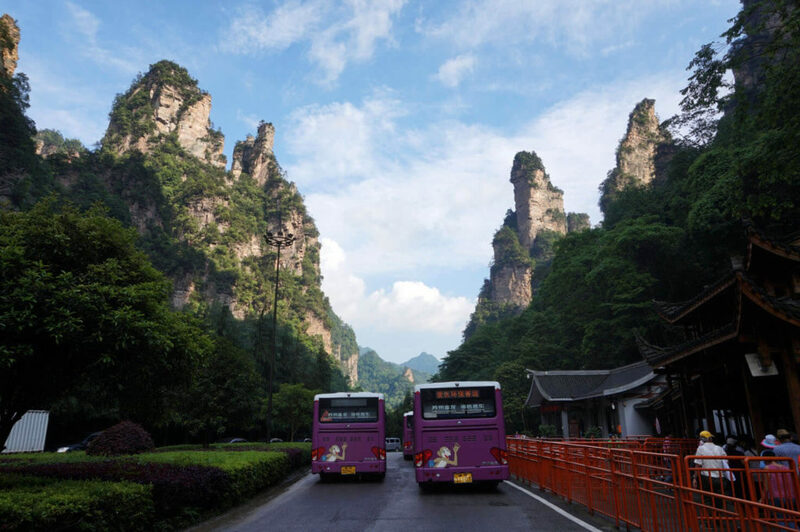 Many hire organized tours (we shared our bus to Zhangjiajie with one group). That means that most tour companies have a pre-established route through the park. 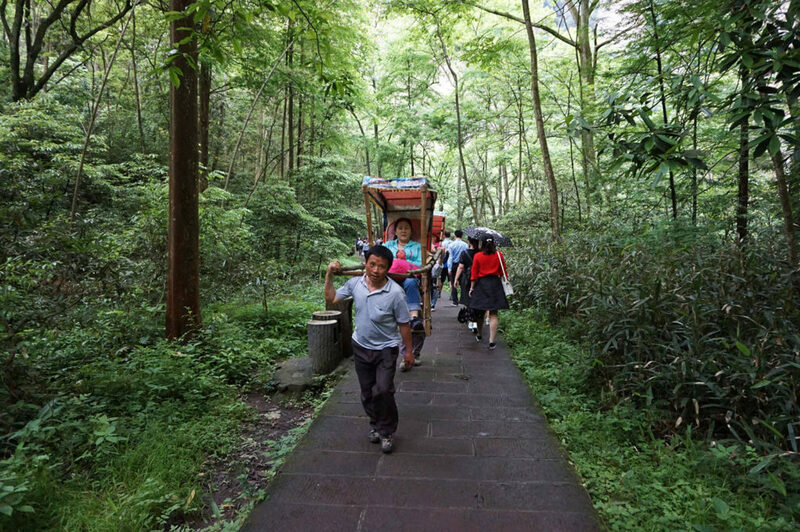 Even more, most tourists enter the park through the three main entrances: Wujiayu entrance near Wulingyuan town, Luoguta (Forest Park) to the south of the park, and Tianzi Mountain entrance to the north. We devised a different plan. Since we stayed near the Yangjiajie entrance, we were able to cross the park in the opposite direction from the crowds. Entering the park was very easy. Once inside we enjoyed quite some time in peace. In fact, we were alone in the Bailong elevator! Apparently, the Zimugang entrance is not crowded either! 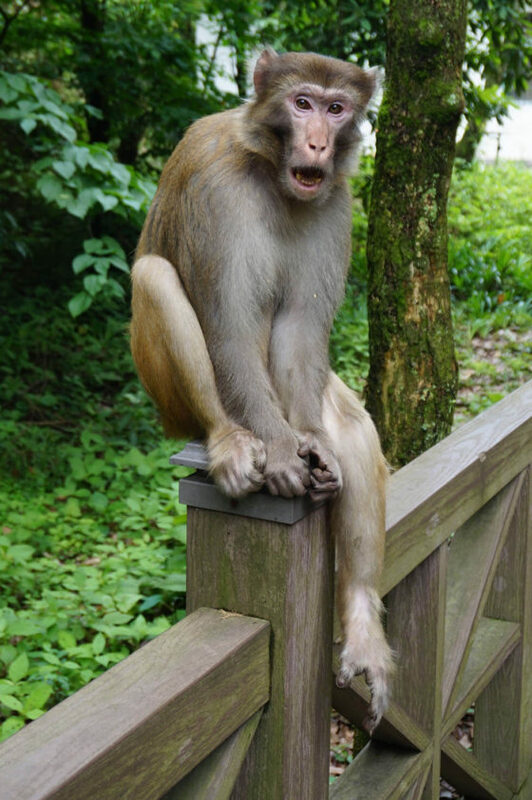 We did some serious research before deciding where to stay in Zhangjiajie. Eventually, we booked the Eden Mountain Village hotel because it’s located at the west entrance of Zhangjiajie National Forest Park. As requested, our driver was waiting for us at Zhangjiajie’s bus station. We were hungry, so he took us to a nearby Mc Donalds (we were that hungry!) and waited for us. That’s what we call luxury: a professional driver waiting for us with a smile! Our driver took us safely through town all the way up to the hill. The whole trip was great. We got a glimpse of semi-rural life and fantastic views. The hotel’s receptionist was all smiles, the genuine type. She told us exactly how to go through the park without crowds. We are eternally grateful. Thanks to her tips we had a fantastic time inside the park. Not only that but in a total show of class, she suggested we did not spend our third night in the hotel (though we had already booked it). It was better for us to cross the park and exit at Wulingyuan. She would send our luggage to the hotel we chose there, and so she did. How can we not love the Chinese? This lady was as elegant and professional as any 5-star concierge. The hotel has a restaurant, managed by the same family. We were truly blessed having food with an authentic Chinese family, from granddads to small children. Everyone was so polite and happy it was contagious. Though we didn’t share the language, we did share laughs. What could top this experience? On our second night, we were back at the hotel after walking all around the park. The lights went off, so we climbed to the terrace and indulged in the Milky Way. We were one with nature, bathed by thousands of stars. We followed our lovely receptionist’s advice all throughout our trip. On the first day, we visited the park’s lesser-known areas. The second day we went to more popular sites such as the Tianzi Mountain and the world-famous Hallelujah Avatar Mountain. Just as instructed, on our final day we exited the park at Wulingyuan town. Our Maosao Inn hotel proved a great choice: cool design, great location, and fantastic service. They’ve got a swimming pool and a roof terrace with views. 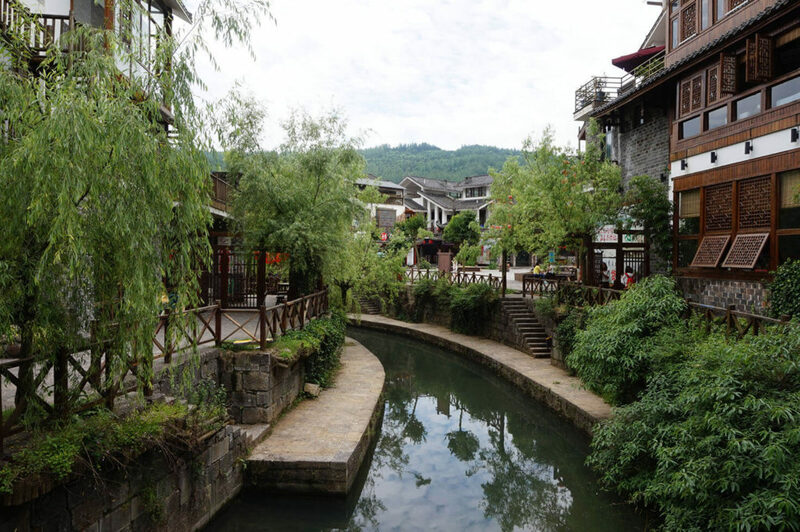 Located on Wulingyuan’s main street, Maosao Inn was a perfect base for exploring this charming town. We were watching the sunset over the mountains from our hotel’s roof terrace when an interesting Dutch guy appeared. According to him visiting the Zhangjiajie Grand Canyon Glass Bridge, the world’s longest and highest glass bridge wasn’t worth the trouble. He said that the landscape around the bridge is similar to what we had already seen and that the crowds were enormous. That was the only reason we came to Wulingyuan, so now we had to think of another plan for the following day. A brilliant idea came to our minds: let’s explore the town itself! Wulingyuan is pretty nice. It’s a middle-sized town with a couple of streets and a river in its center. Sharp mountain peaks surround the whole town, so great views are everywhere. After a month and a half in China, we were desperate for a western breakfast. Since most Chinese hotels offer only Chinese food we went searching for a western style bakery. It turned out there are a couple of good bakeries by Wuling Road. We spent the rest of the day just strolling along the river and watching the sunset from our roof terrace. Zen! We decided to stay in Zhangjiajie city for one reason: to visit the Tianmen Mountain. To reach the mountain you have to take a cable car or a bus from the city center. Thus, it’s a good idea to stay near the cable car station. We booked a room at the Water Amusement Hotel but were very disappointed to find out that the aqua park was closed. That’s why we booked it in the first place! At least the hotel was nice and within walking distance to the cable car. Zhangjiajie City is not exactly one of China’s nicest cities. With a population of 1.5 million, it is relatively large. The entire city seems to be under construction, including several new motorways and railroads. Cranes are everywhere! Though there is no historical center as such, there is an authentic market place (quite dirty) and several shopping centers. 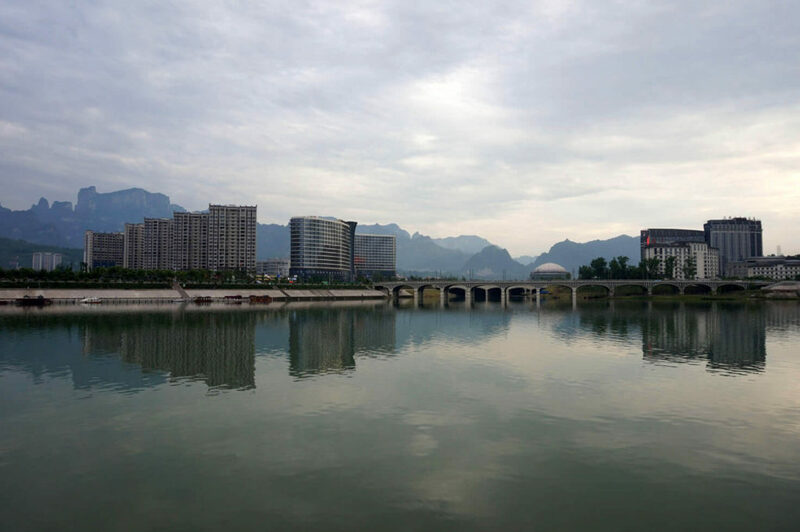 That said, we did enjoy our time walking along the Lishui River and admiring the views of Tianmen Mountain. 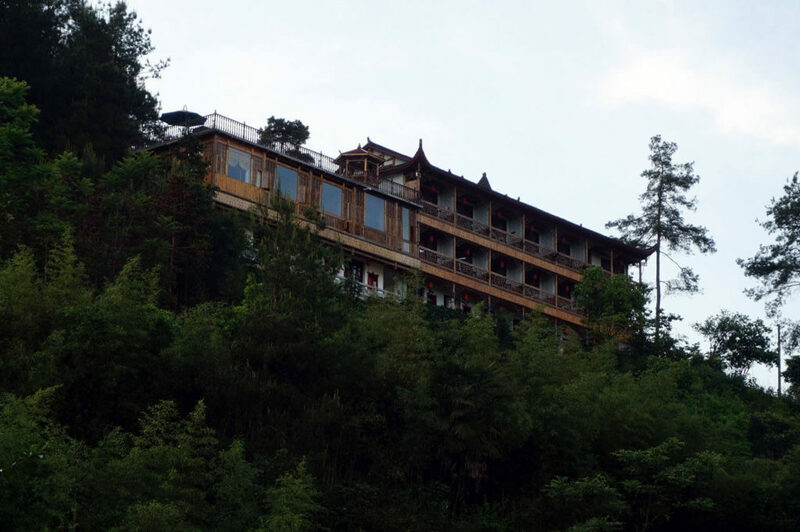 If still unsure about where to stay in Zhangjiajie we have a special recommendation for you. As mentioned before, most people enter the park through the three main gates. Hence, Yangjiajie and Zimugang gates are far less crowded. You can enter the park on foot from any of the hotels in the immediate vicinity of both gates. That is exactly what we did each morning from our Eden Mountain Village hotel. 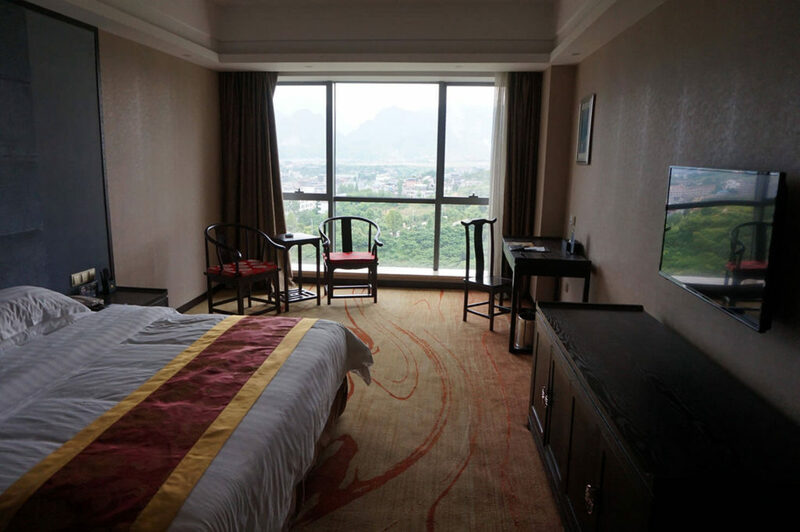 Though not within walking distance to the Yangjiajie gate, Hotel No.5 Valley Inn and Homeward Mountain Hotel are good choices too. Within walking distance to the Zimugang gate, you’ll find the Glass Cube Guesthouse. 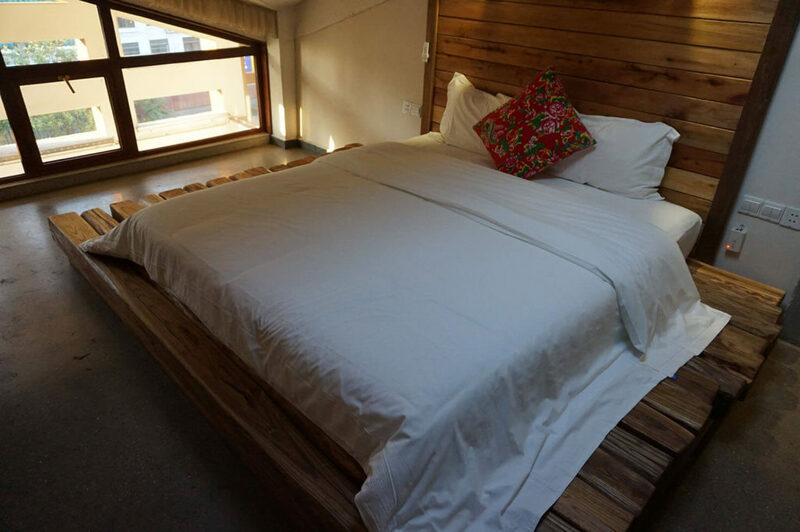 The Purespace and the Shuimu Xiaoxiang Holiday Guesthouse are good options too, but you won’t be able to walk to the park. Needless to say, all of them offer great views. Zhangjiajie is still hard to get to, even though we are talking about one of China’s premier tourist attractions. Since there are no fast train connections from Hunan’s capital, Changsha, you have to take a regular train or a bus. It takes between 4 and 6 hours. From Fenghuang 3 hours by bus. 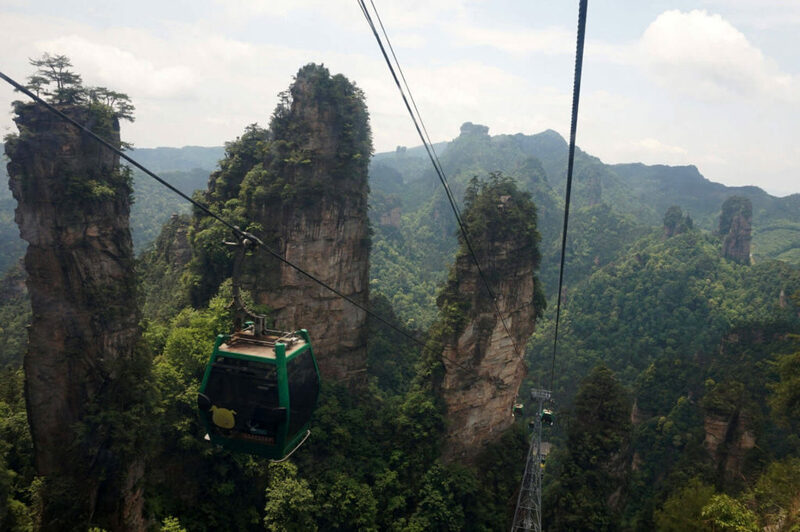 Both train and bus stations in Zhangjiajie city are close to the cable car station. Several buses a day connect the city to Wulingyuan town. 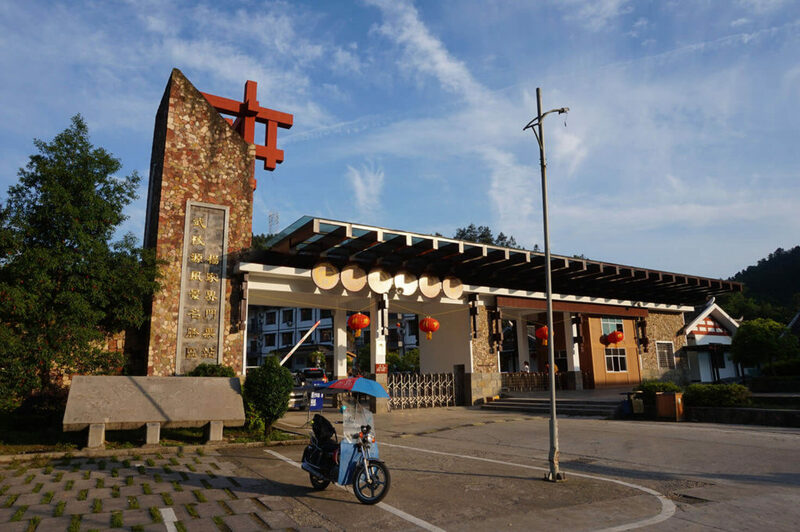 The town’s station is near the Wujiayu gate, so once in Wulingyuan, you can walk to the park. Hire a taxi or organize transport through your hotel to get to any of the two less visited gates. Zhangjiajie also has an airport with national and international flights. Zhangjiajie National Forest Park is one of those places everyone should have the privilege to visit. The place is so overwhelmingly beautiful that photos and words can’t describe it. The entire area is huge and difficult to grasp. 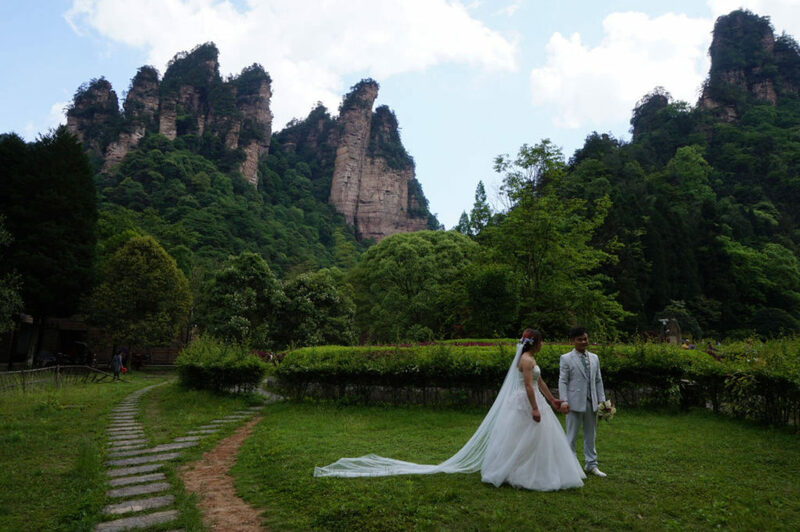 Therefore, choosing well where to stay in Zhangjiajie is essential. Our Eden Mountain Village was a fantastic choice. Thanks to them we were able to soak up Zhangjiajie’s National Park clean air and escape the crowds. Perfection and class don’t require marble, pools, nor any bling. All you need is genuine Chinese hospitality, a welcoming family, and the kindness and brains of a fantastic host. Thanks!